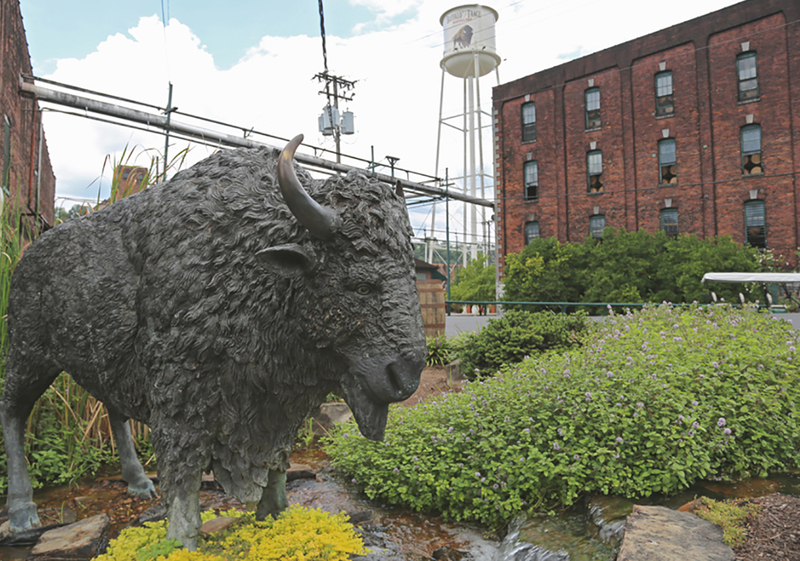 Over the last few years a steady stream of experiments has flowed out of the Buffalo Trace Distillery. Some, like the Single Oak Project, have made it into consumers’ hands (and their glasses) while others, like Warehouse X, have so far yielded only data points. This glimpse into the distillery’s culture of experimentation and ceaseless effort to improve is not just a look inside its processes, it’s also a look back in time – all the way back to the days of Col. E. H. Taylor, Jr. and George T. Stagg. And the laurels are impressive, indeed. 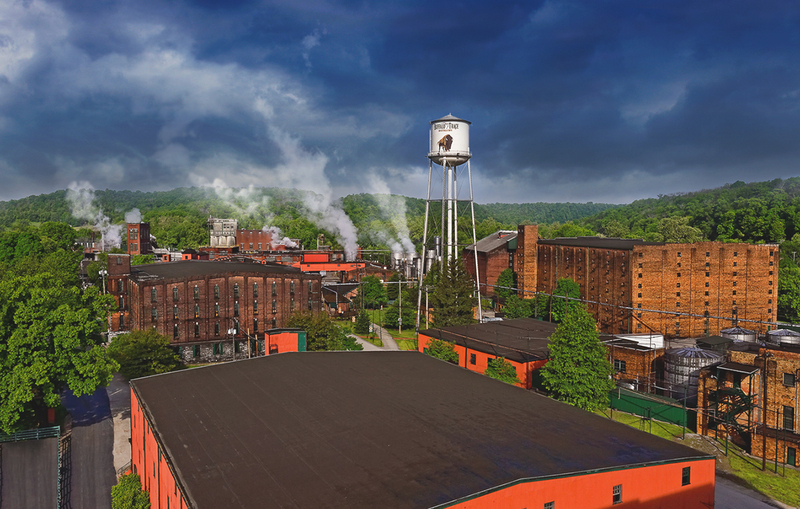 With 200+ years of history behind the distillery, Buffalo Trace has simply too many accolades to list here. But beyond his responsibility for producing quality whiskey, Wheatley also has a responsibility for maintaining that tradition of innovation highlighted by all those awards. Encompassing the ‘Embrace Change’ philosophy is the Buffalo Trace Experimental Program. “We’ve got over 14,000 barrels in inventory of experiments. Different types of experiments like wood, grain, distillation, environment,” Wheatley explains. Starting in 2006, select results of that program have been released to consumers under the Buffalo Trace Experimental Collection label. Releases have included chardonnay- and zinfandel-finished bourbons (2007), rice and oat recipe bourbons (2011) and “Old Fashioned Sour Mash” bourbon (2015). But some sub-projects within the Experimental Program are large enough to stand on their own. These sub-projects each focus on different elements of the whiskey production process. The sub-projects all run on different time scales and time lines, too. “Warehouse X is probably minimum of twenty years. The Estate program is probably forever, there’s no end to that one. And Single Oak was kinda finite,” Wheatley continues. Originating in 1999, the Single Oak Project consisted of 192 barrels made from 96 Missouri Ozarks trees. Those trees were hand-picked by then Warehouse Manager Ronnie Eddins. Each tree was divided in half with the tops and bottoms made into separate barrels. The staves were then air-dried for either 6 or 12 months and given either a number 3 or 4 char. They were filled with distillate from a variety of mash bills cut to either 105 or 125 proof. Lastly, they were placed into two different warehouses – one with wooden ricks and one with concrete floors. In addition to the human-introduced variables, the trees were selected to have fine grain, medium grain and coarse grain wood. 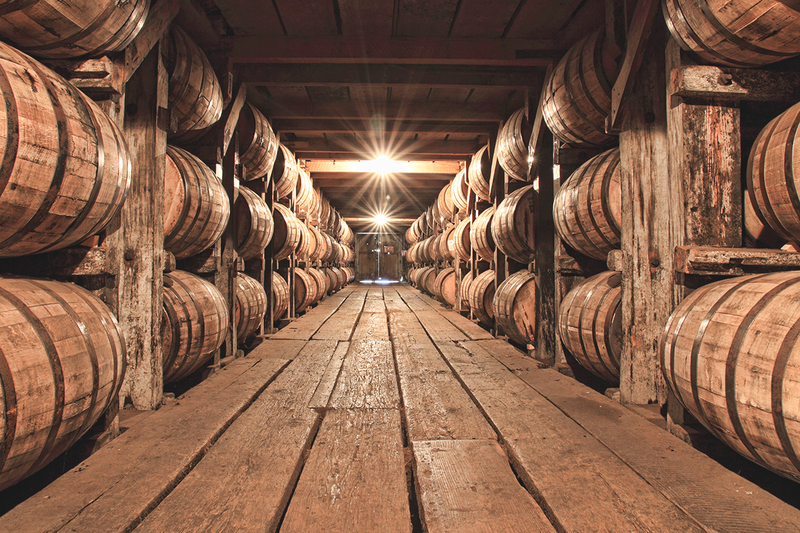 Eventually, the mature bourbon was released in batches at three-month intervals starting in 2011. Once the bottles were in the marketplace, consumers were asked to comment and rate the bourbons they had purchased. Over 6,000 of them did. “What I like about that project – we do a lot of projects where we’ll taste something and it might be fifteen people tasting of our panel. And we’ll get results and things. But this one literally we got 6,000 results which takes out the subjectivity and gets it down to statistical data, right?” Wheatley asks rhetorically. The project concluded in June 2015 with barrel #80 being crowned the winner. Looking back on the scale of it, Wheatley laughs. “It was kind of a nightmare,” he says. Recently, as a kind of spiritual successor to the Single Oak Project, Buffalo Trace announced a new tree-based experiment: barrels made from 300-year-old oak trees. There’s no precedent for using oak that old to make barrels. In 2015, the company purchased 282 acres of land adjacent to their distillery. This land is being used for building additional barrel warehouses and to raise estate experimental grains. So far, two harvests have been reported: Boone County White corn, a strain which dates to 1876, and Japonica Striped corn, which is an 1890s purple kernel corn. These are both as different from the most commonly used corn – hybridized Yellow Dent – as it is possible to grow. No release date has been set for Single Estate whiskeys made from these grains. No release date has been set for barrels matured in Warehouse X, either, but last November Buffalo Trace issued a press release with the first results of experiments conducted in the uniquely-constructed building. Most other barrel maturation warehouses are usually either simple wood or stone walls encasing wooden ricks. They are also basically entirely subject to outside temperature. Warehouse X, however, is composed of four independent chambers where every conceivable element can be manipulated plus one open-air chamber which acts as a control. Temperature, humidity, airflow and even sunlight can all be monitored and modified to suit the needs of different experiments. After only three years of operation, Warehouse X yielded a staggering 3.5 million data points. “The Warehouse X project – we called it ‘The Future of Aging.’ So for us it’s about how do we treat our barrels in the future, to make plans for the future, based on those results, which unfortunately will take twenty years to get what we need,” Wheatley comments on the longevity of the project. But the information gained from Warehouse X will last effectively forever as the lessons learned shape the way new barrel warehouses will be built. Even though the experiments might only be obvious when in bottles labeled as such, the reality is there’s experimental whiskey in every bottle Buffalo Trace produces. All of the knowledge of over two centuries of ‘Embrace Change’ have created the award-winning spectrum of bourbon and rye whiskeys available now and new knowledge will shape them into the future. As a scientist, Wheatley views his experiments through the lens of this goal. “Our philosophy in our experimental program is to be purposeful in our experiments. In other words, we’re always looking for something. So, if we try a new corn or a new grain, what are we trying to learn from that experiment and how does that help us in our legacy brands, or how does that develop new flavors? There’s always a purpose to these experiments,” he says. Come see what else Harlen Wheatley and co. are producing at Buffalo Trace! With Distiller, you’ll always know what’s in the bottle before you spend a cent. Rate, Review, and Discover spirits! Head on over to Distiller, or download the app for iOS and Android today! Bourbon, bourbon and bourbon news. Oh, also bourbon. New Booze News: Balcones, Compass Box, Woodford Reserve and More!